SMA905 Style Connectors are most commonly used with multi-mode fibers. 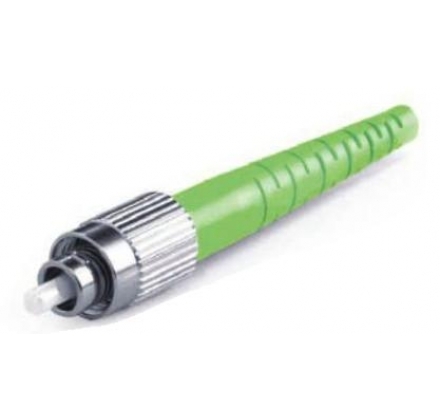 It has a stainless steel furrule design and is ideal for large core fibers. Maximum ferrule ID size is 2.5mm. FC/PC connectors allow for physical contact between the fibers.It features a ceramic ferrule design with a 2.0mm narrow key. The bore diameter can be customized to to fit our largest and smallest core fibers. Maximum ferrule ID size is 1.4mm. FC/APC connectors are polished at a slight angle to prevent light from traveling back up the fiber. The typical loss for this connector type is 0.25dB. FC/APC connectors should only be mated with other FC/APC connectors. 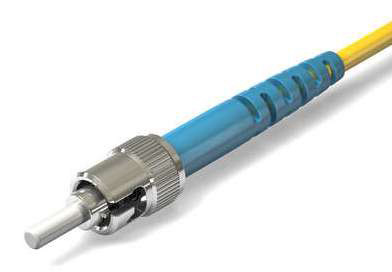 ST connectors are cylindrical with twist lock coupling and feature a 2.5mm keyed furrule. 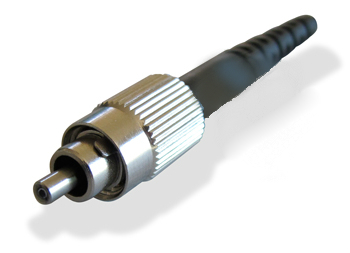 The connector has a bayonet mount and a long cylindrical ferrule to hold the fibers. The typical insertion loss for matched ST connections is 0.25dB.